Happy theme reveal day everyone! It may feel a little too early to crack open the mince pies and deck your halls with tinsel, but Christmas isn’t the only exciting thing about December! 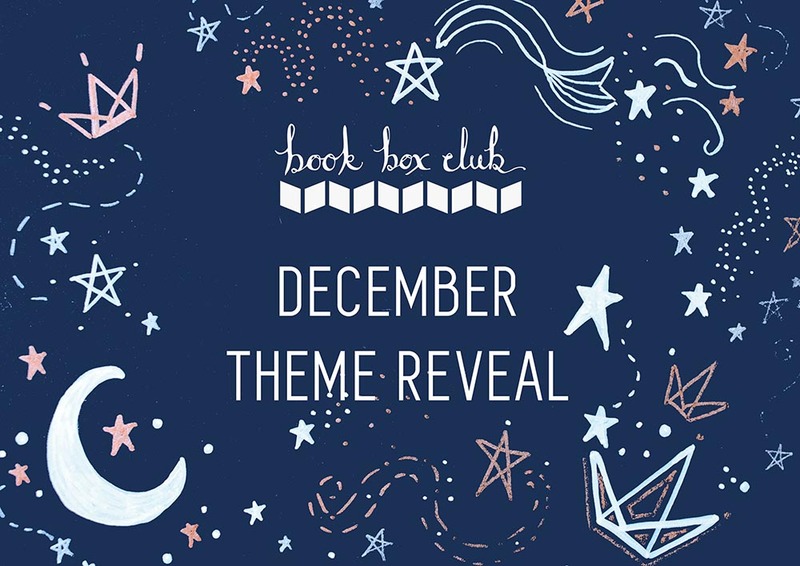 Here at Book Box Club HQ, we’ve been hard at work planning lots of lovely things to make our December boxes extra special and the time has finally come to share our December theme. Calling all wannabe intergalactic explorers and starry-eyed space cadets: our theme for December is RULE THE STARS! Join us for a thrilling adventure into the great wide universe and a box inspired by courageous cosmic leaders from out-of-this-world YA. Get ready for an action-packed thriller set aboard a space station hurtling through the galaxy! Our December featured read orbits around a leading lady who finds herself captain and protector of a young and doomed crew. This tense mystery is full of cosmic world-building, complex (and swoonworthy!) relationships and a rising sense of panic, as it becomes clear that the dangers of outer space are far inferior to the dramas unfolding inside the cabin! Cross One of us is Lying or Murder on the Orient Express with Illuminae and you’ll be partway to imagining the high-tension atmosphere of this brilliant book. This is one of those novels that arrived on our radar months ago and then sat there quietly on our shelves, like an undiscovered gem. On paper, it’s a genre of YA that neither of us are hugely into, but as we’re big believers in reading beyond our comfort zone (and often find our favourite books that way!) we didn’t let this deter us. When we finally got around to reading this book, it completely knocked our socks off and soon had us engaged in a fast and furious buddy reading frenzy. Now, we are so excited for you to be blown away by it too. Our December book is a stunning, hot-off-the-press hardback, which will arrive gift wrapped in our signature silver paper and string and accompanied by a stylish book-plate, signed by the author. 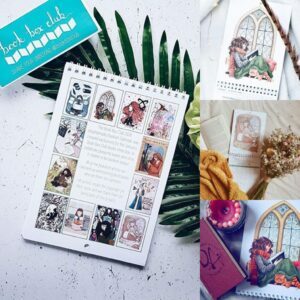 We are thrilled to announce that one of the gorgeous items inside our RULE THE STARS will be our exclusive 2019 Unashamedly Bookish Calendar, featuring the winning entries from our illustration competition. You’ll be able to plan out all of your bookish activities for the year alongside twelve pieces of artwork inspired by our illustrator’s favourite books. Our illustration competition is open NOW, so if you’d like the chance to be featured in our 2019 calendar click here to find out how to enter. We are loving seeing all of your brilliant entires so far (you guys are ridiculously talented!) and we can already tell – this item is going to be AMAZING! 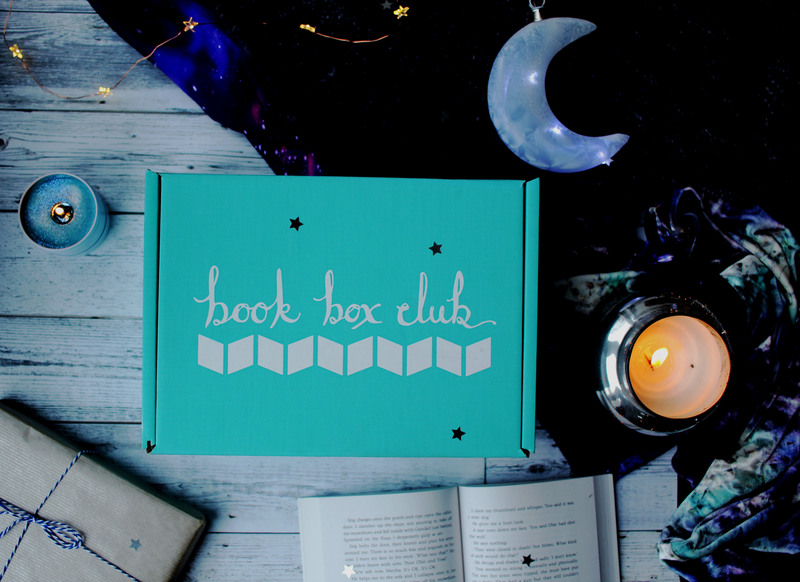 Of course, no Book Box Club box would be complete without a personalised invitation to our members-only online book group. Prepare for blast off and join us and your other intergalactic bookish crew members to chat about our December featured read. Our guest of honour will be the author of our December book, who is very excited to talk to you all and to answer your questions. This is book has so many twists and turns; we can’t wait to find out if anyone saw THAT ending coming (we certainly didn’t). Bring on the book group! If you are unashamedly bookish, but bookish extras aren’t your thing, you can still join in the fun. Check out our PURELY BOOKS subscription. Our books-only memberships include the same great featured reads and membership to our awesome author book group, just without the extra themed accessories. 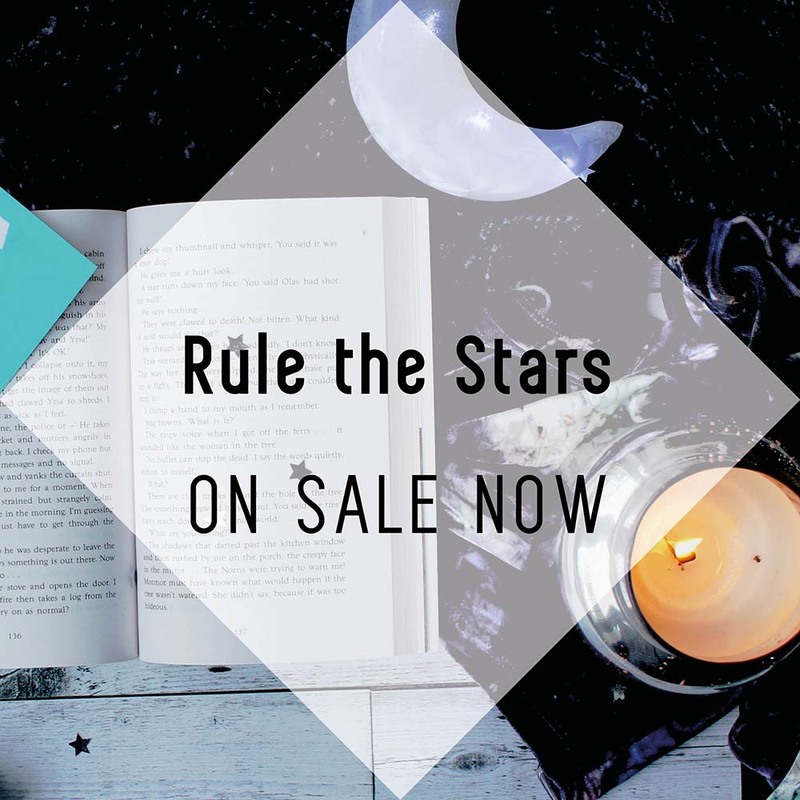 December RULE THE STARS boxes and Purely Books parcels are available from our subscriptions page now. As ever, we only have a limited number of boxes available so get yours before they all disappear! Shipping to the UK is completely FREE, but we send our boxes all around the world so if you’re a far flung book lover, check out our FAQ page for all of our postage fees. Existing Book Box Club members can relax, your subscription guarantees you a RULE THE STARS themed bookish parcel. We’ll be sending you yours around December 15th, unless you tell us not to before renewal day on November 25th. We are going to try our absolute best to get your boxes out a few days early ahead of the festive post to give them the best chance to be there in time to sit under your Christmas trees! What do you think of our cosmic December theme? We would be so grateful if you’d help spread the word about our RULE THE STARS box with your own bookish buddies on social media. You’ll find our theme reveal trailer video in easy-to-share formats on our Instagram, Twitter and Facebook pages. We love nothing more than welcoming new members to our club!